How do you express yourself while talking to your spouse? Do you prefer calling them or does a WhatsApp video call serves the purpose? Or you are not a call person? Do you think you can express yourself better on text messages rather than on a phone call? Because there are people who are more inclined towards the same old messaging tradition and for good. We know that there are many social networking sites and applications which can be used by couples to communicate like; Facebook Messenger, WhatsApp, Skype, Snapchat, Instagram, Duo etc. but a special text message – full of love and emotions can bring a really huge smile on your spouse’s face just like that. It’s just that you have to choose the right words to tell them how you feel about them and about living with them. Since we are talking about married couple in our today’s blog – we know that for them, every new day brings new happenings and challenges for them to deal with in context of their married life, work and regular routine. And in order to tell the partner that you are there for them, it is important to communicate in an effective manner. I feel thankful for two very beautiful things; my life and my wife. Have a great day sweetheart! It’s funny how one could live their life not knowing about real love but with you, the feelings I feel are beautiful and I know that I have found real love in the shape of you. I’m addicted to you because I think of you all the time! I get those butterflies in my stomach when I see your face. 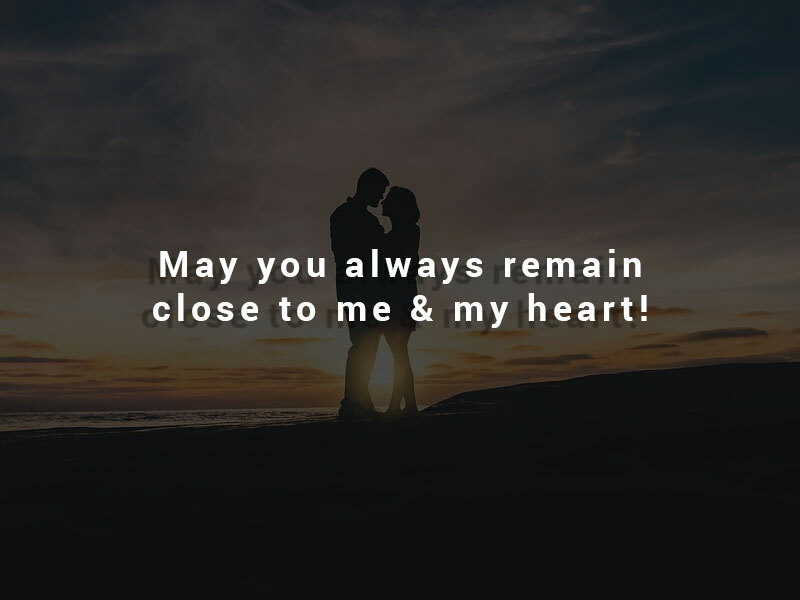 May you always remain close to me & my heart! You make my life extraordinary! I promise to be at your side forever because you are very special for me. You are definitely that person poets write poems about. I love you! Even when you are far away, i still hear your heartbeats. You are the secret behind my success. I love you!